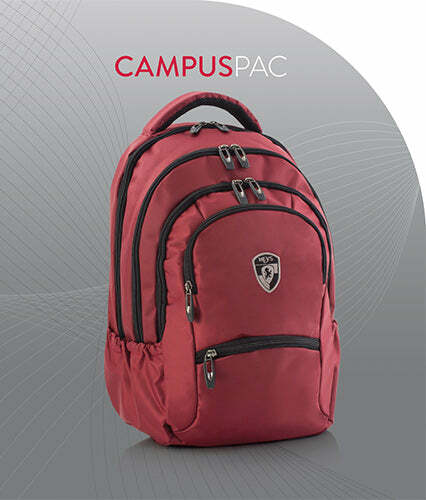 Pack your school essentials in style with the Heys CampusPac backpack. This backpack features a padded laptop pocket that fit up to a 15.6" widescreen laptop and a fleece-lined tablet sleeve. 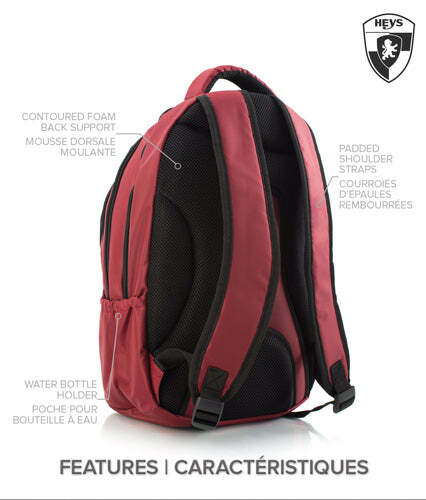 The spacious main compartment can hold books, binders and other daily necessities. The padded shoulder and adjustable waist straps allow for maximum comfort while delivering optimal load displacement for your back. 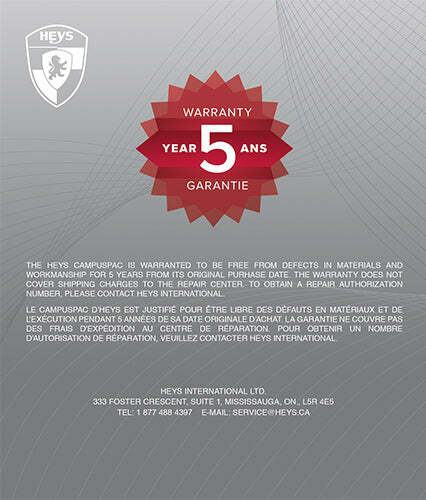 The back panel includes contoured padding and uses moisture wicking air-mesh foam. 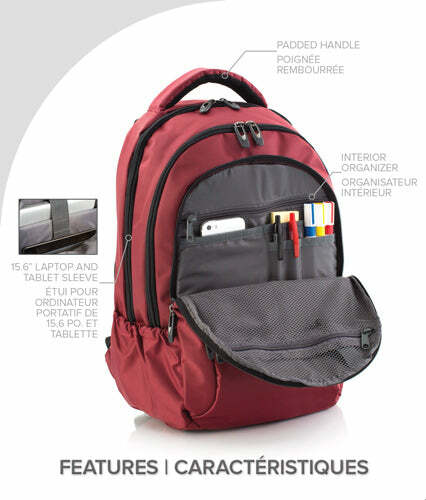 The CampusPac backpack is also equipped with an interior organizer for your cellphone, pens, and other accessories.